Here at the lodge, we offer pet friendly accomidation at the gateway of Glacier National Park. 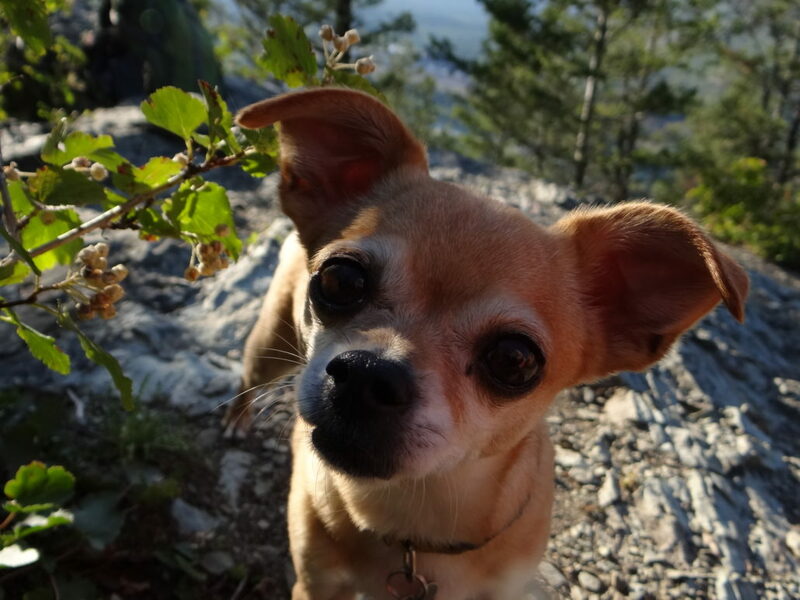 Don’t be put off by limitations inside the park about where pets can explore, since we have miles upon miles of hiking trails in Flathead National Forest to tromp in the beauty of Montana. Gear up for the beauty of Glacier National Park and beyond with these great hiking trails to trek with your furry friend. Dogs are allowed on roads that are open to vehicle traffic, and in parking lots and other developed areas. To get out into the forest and stretch your legs inside the park, head to the Apgar Bike Path. The 2.6 mile paved trail reaches from West Glacier (at the park’s historic entrance) to the Fish Creek Campground, just beyond Apgar Village. 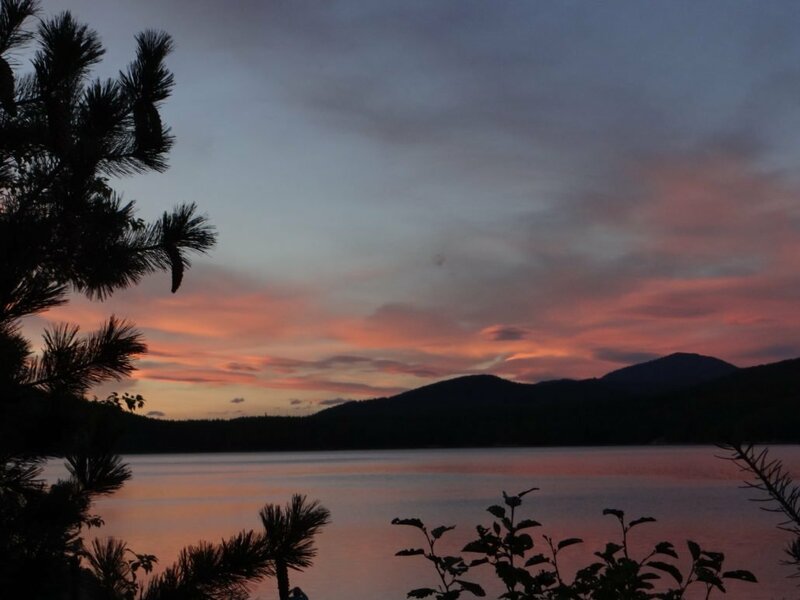 Enjoy the wooded trail with your four-legged friends, and take a detour into Apgar to grab some ice cream at the walk-up window at Eddie’s Cafe! With cone in hand, continue on across McDonald Creek to spot views of the rushing stream as you cross the bridge. How to get there: Head down to the old Belton Bridge in West Glacier, leash up and set off across the river! Once you cross the park boundary, there is no shortage of beautiful options for hitting the trail with your hound! Splash around with Spot along the shores of the Hungry Horse Reservoir. The rugged coastline is so in tune with wild Montana, you would never know that the bays and peninsulas were formed by the construction of the Hungry Horse Dam in the 1950s. We recommend stopping anywhere that sounds enticing: some good options are Doris Creek and Lid Creek Campground for some fun on the shore. How to get there: From the lodge, drive toward Hungry Horse, but turn left at the signs for the dam before you hit town. Drive down the road a few miles until you see the dam, then continue on over it until a spot on the shore calls your name. This rustic road leads along the South Fork of the Flathead River to the base of the Hungry Horse Dam. Though the name might not be the most romantic, the riverwalk gives a new view of the dam from below after winding along the banks of the rushing river. Hikers are required to give the base of the dam a wide berth, but there’s plenty of space to take in the views. How to get there: From the lodge, head through Hungry Horse until right before the bridge. Turn right on River Junction Road, and follow it around a sharp curve beneath the bridge to park and continue on foot. This is also a great place to bike from the lodge! To truly experience the park with fido by your side, check out the Demers Ridge Trail (Also known as Glacier View) for a trail that perfectly delivers on its name. The hike is technically outside the park in the National Forest, which means all varieties of four-legged friends are welcome. 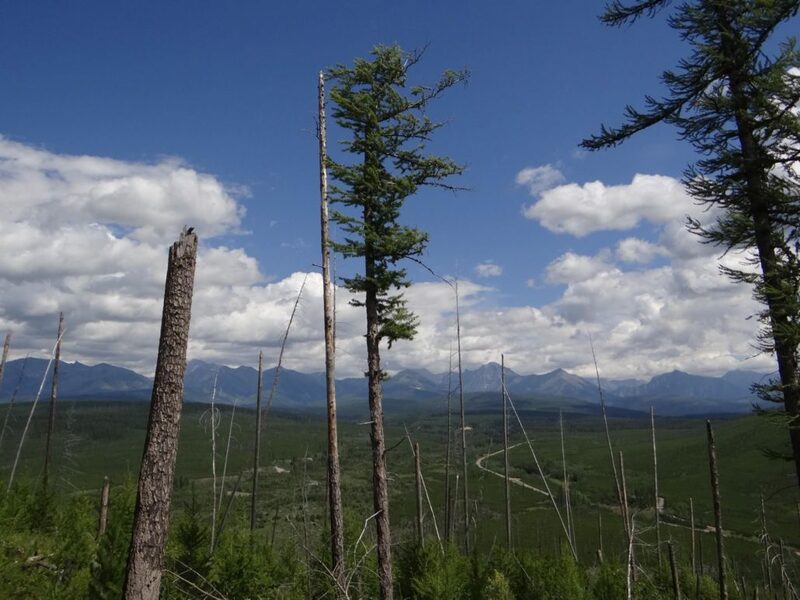 The steep, shaley trail demands careful steps as you ascend steep switchbacks at the start, but this pays off in huge views over the North Fork of the Flathead River into the mountains of Glacier. How to get there: From the west entrance of Glacier National Park, drive into the park and take a left toward Polebridge. 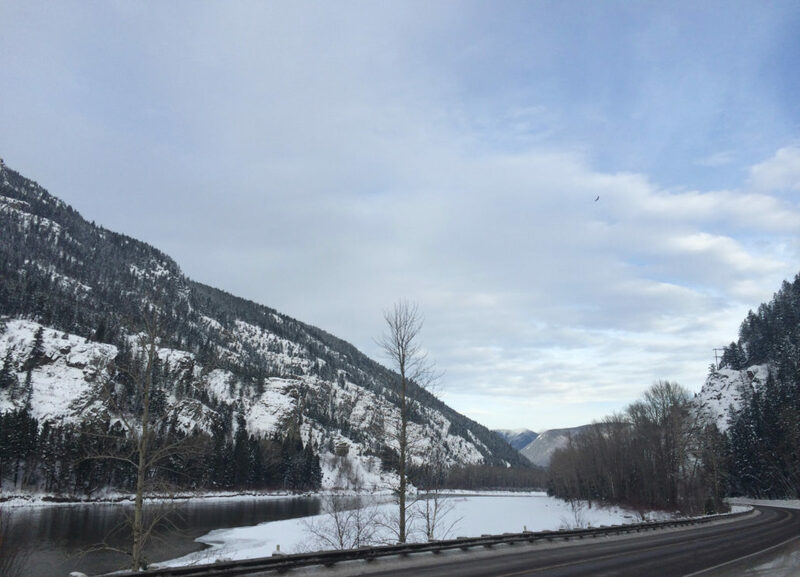 Pass Apgar Village and keep driving until you reach the intersection with the Outside North Fork Road once you pass the park entrance sign at Camas Creek and cross the bridge that spans the North Fork River. 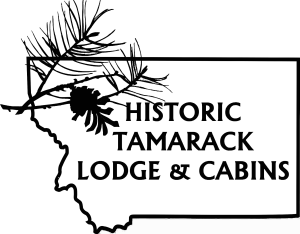 Click here to book your pet friendly cabin at the Historic Tamarack Lodge and bring the whole family to explore Glacier National Park!